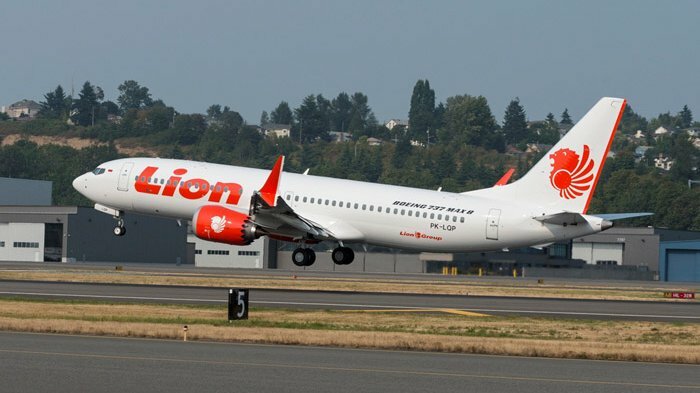 A Lion Air flight from Jakarta to Pangkal Pinang has reportedly lost contact 13 minutes after taking off from Jakarta. The Lion Air flight JT-610 took off from Soekarno Hatta Airport at 6.20am local time and lost contact at 6.33am. The Boeing 737 MAX 8 was originally scheduled to arrive at Pangkal Pinang at 7.20am. Edward Sirait, the CEO of Lion Air group, said he was trying to find information on the plane but cannot give any further details at this stage. A search and rescue team has been deployed to find the plane. The team left Jakarta at roughly 6.20am local time on Monday. A tugboat working close to where the plane is believed to have crashed was the first to report sightings of debris. The accident is the first to involve the widely-sold Boeing 737 MAX, an updated, more fuel-efficient version of the manufacturer’s workhorse single-aisle jet. Officials have yet to determine the cause of the crash. It’s not clear how many people were on board the flight, but the Boeing 737-Max 8 seats up to 200 passengers.